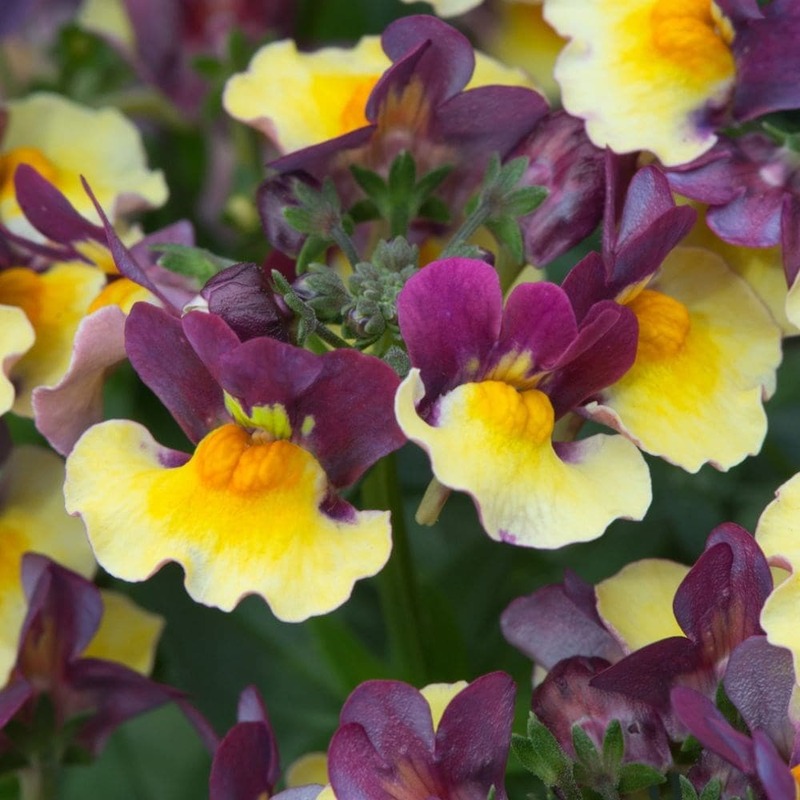 Buy Nemesia 'Aroma Rhubarb & Custard' (Aroma Series) nemesia: Numerous of highly fragrant blooms. Rich magenta and yellowy/orange petals create a stunning bicolour flower on this unique nemesia. Numerous highly fragrant blooms rise above many sturdy stems and compact fresh green foliage. Planting in groups will not only give you a dazzling display but it will also increase the strength of the scent. 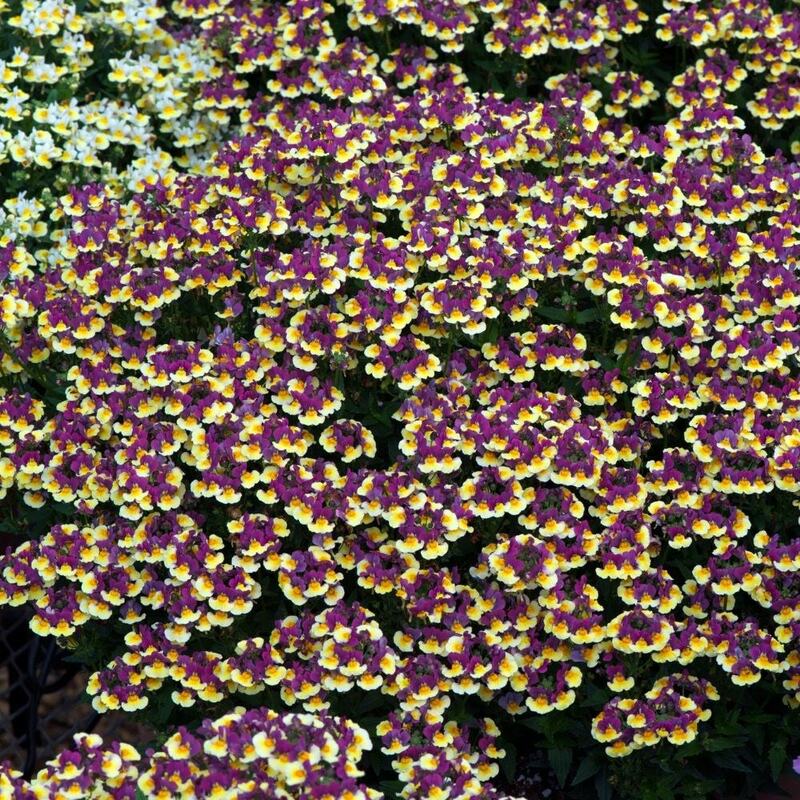 Fabulous for containers, or at the front of a border close to a patio or an entrance.